While nothing beats a bubbly bath time, saving money while you splash certainly doesn't hurt. Explore rebates for natural gas water heaters. Simply changing your household routines can help you use energy wisely and save money on your energy bills. A hot shower after a long day. A fresh batch of cookies. A warm home during the coldest months. Natural gas fuels day-to-day happiness. Making a change? Let us help. We pride ourselves on always being there for you. If you’re in our area, we’d love to serve you. If you’re building or upgrading, finding a trusted, qualified natural gas contractor can make life easier. Gas appliances are clean, reliable and cost effective. And with rebates from Spire, they’re even more affordable. We’re strengthening our natural gas system to better serve you. The work could get messy, so we want to make sure you know what to expect. Let’s work together to keep your gas service from being interrupted. When you enroll in DollarHelp, you give so much more than $1. You share the gift of warmth with a neighbor in need. At Spire, we’re always in motion, working to advance our people, our service and our performance by using our energy to explore new opportunities and innovative ideas for the future. This morning, a Spire fiber optic cable line was damaged. Due to this, online and phone account access, including payments, are unavailable right now. 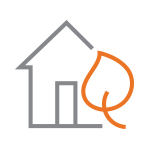 We are only taking emergency calls, so if you smell natural gas, leave the area and call us. We’re very sorry for any inconvenience, and check back for ongoing updates.